How do you respond when you’re put on the spot? How do you feel about being ‘put on the spot,’ abruptly called upon to respond to an unexpected question, request or challenge? Some people enjoy it; they get a buzz out of suddenly having to ‘think on their feet.’ But many of us, perhaps most, prefer time to prepare before we commit ourselves to giving a response. Nancy is one of those who doesn’t like to be put on the spot. To be more precise, she doesn’t mind when it’s a task-related issue, because she’s a very conscientious and efficient person and she prides herself on being on top of her responsibilities. Ask her a question about that side of her work and she is unfazed; she usually already has the answer at her fingertips. But by her own admission she’s much less comfortable, when she’s suddenly asked to give an opinion on people issues. It’s quite a compliment to be asked. The Thai culture is studiously polite, anxious to maintain group harmony and to avoid inter-personal tension. In this context, being asked to give personal feedback is an indication of her colleague’s willingness to trust her and her judgement. But for Nancy it was still an uncomfortable moment, and not just because she is Thai. The Critique and Direct voices figure prominently in her VoicePrint profile. She has a very strong sense of standards and her natural disposition is to assess and evaluate in relation to those standards. It’s a pattern which enables her to be focused, on-point and efficient in her work. You might expect it also to make it easy for her to give feedback to others, but she holds these voices in, because she worries that they can make her sound too critical of others. It’s that worry which prompts her to seek out my view about the episode. ‘I’m not sure if I did okay or not,’ she tells me. ‘I asked him several times if he thought I was being too hard, but he reassured me that it was all okay.’ When she describes the feedback that she gave in response to his unexpected request, it is evident that her comments have been clear and detailed, related to specific occasions and activities, and accompanied with constructive suggestions. She’s delivered a model of useful feedback, and in the process she’s demonstrated a wide repertoire of voices: inquire, probe, critique, challenge, articulate and advise. She is right to be concerned about sounding too critical, but she worries about it more than she needs to. 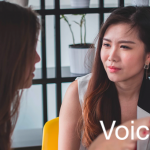 VoicePrint 360 feedback shows that it’s only her manager who occasionally feels it; her colleagues and subordinates find her consistently supportive. So Nancy’s developmental challenge, apart from taking care not to be too harsh towards her boss, is less to do with how she interacts with others and more to do with the voice of her inner critic, which tells her that she shouldn’t sound critical of people. It’s a powerful inner voice. On previous occasions, when called upon for her view about people, I’d seen her lapse into total silence. Being put on the spot like that was a trigger which literally froze her. The best way to overcome inhibiting triggers like this is to allow yourself to be in such situations and progressively prove to yourself, through an accumulation of up-to-date experience, that you can handle them successfully. That’s perhaps the only way to dig out the deep roots of an unrealistically negative view of yourself and your own capabilities. That is what Nancy is doing. She has taken two distinct and conscious steps forward in this case. The first was when she gave her colleague the feedback he was asking for and did it there and then rather than deferring it or falling silent. The second was when she took the initiative to request a coaching conversation with me to discuss the episode and her discomfort. 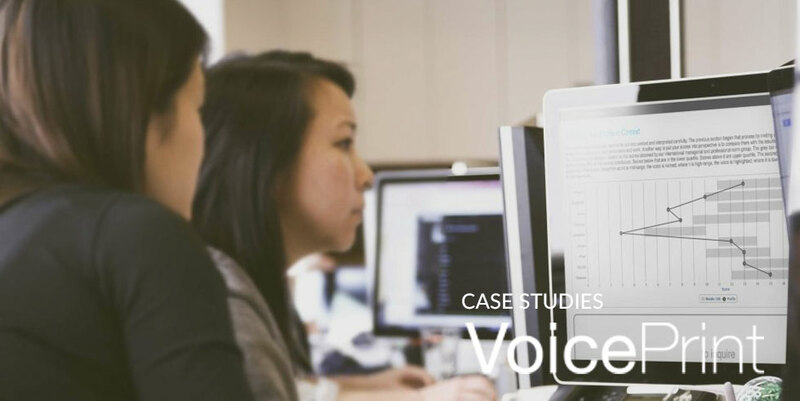 Nancy has been working on her VoicePrint profile and successfully extending and developing her range of voices for a couple of years. This glimpse into her case is evidence of how well she’s doing it. Not only is she now able to give valuable personal feedback when asked, in the moment, when it is most useful, but she is also actively reflecting on the interactions in which she feels least confident and least comfortable. She’s not shying away from these experiences, but using them to put herself on the spot in applying and refining her personal development. So how do you respond, when you’re put on the spot? Which voice do you find hard to use, even when you suddenly need it? Are you developing the awareness and skill to fill the potential gaps in your repertoire? 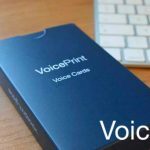 Let us connect you with a VoicePrint Accredited Practitioner & Develop the skill to make your communication as effective as it can be. 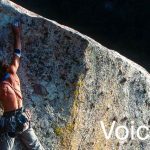 Tell us anything that might help us connect you with the most relevant VoicePrint accredited practitioner for you.